During the summer, I had the opportunity to connect with Gifted education specialists from other countries, some in person, some online. What struck me about the conversations we had was the almost universal lament for the state of provision for Gifted education. But mostly what seemed different to me was the extent to which it was a given that there should be specific provision to meet the educational needs of Gifted children within schools (and sometimes specialist schools), funded by the taxpayer and delivered by teachers with Gifted education as a specialism in their training. I couldn’t help feel somewhat ‘left behind’ as conversations turned to the structures and methods used to deliver Gifted education programmes. It was not unlike the Gifted child in a classroom silently calling for some slight recognition. To be sure, there are problems of recognition in other jurisdictions, but the education policies adopted (or not) in other countries should not necessarily be a persuasive factor in deciding the shape of our own education system. Instead, there is only one key factor in deciding the type of education we should provide to children, namely, it should be an education appropriate to the needs and abilities of a child who will enter society (not just an economy) after leaving school. There are two components to this, the individual child and society. Addressing the needs of each serves the other and the neglect of either one can have severe repercussions for both. For Gifted children, the minimum impact is a life of boredom in school. This is not the ‘have-nothing-to-do’ boredom but the ‘I-already-know-what-you-are-teaching’ type of boredom. Teachers will recognise the consequence of this. They can respond to it on one of two ways; deal with constructively, or stamp on the child’s spirit. While there are two sides to every story, I have been, sadly, on the receiving end of many phone calls describing the latter (some from teachers!). The bigger impact, and I am deliberately NOT exaggerating here, ranges from disaffection with school and authority to depression and further on, suicide. One psychologist I spoke with told me of counselling adult clients who signature problem went all the way back to negative school experiences the underlying cause of which was undiagnosed Giftedness. In some respects, Irish teachers can be forgiven for not being more in tune with the presence of Gifted children in their classrooms never mind actually doing something about it. Irish teachers receive next-to-no formal instruction in meeting the educational needs of Gifted children during Initial Teacher Training. Requests to some training colleges for details of what is delivered have, as yet, gone unanswered. Offers to speak (voluntarily) are equally unanswered – and sadly not because the issue is already being addressed. One stand-out is Dr. Rose Dolan in NUI Maynooth who has invited me for the last two years to guest-lecture to their PDE students. This is welcome and very significant in terms of creating awareness; but every trainee teacher (indeed all teachers) need some grounding in Gifted education matters. The Special Education Support Service (SESS) ran a pilot programme in 2009 in the southwest. The SESS now offers in-service courses in meeting the needs of Gifted children but these are voluntary and depend very much on school leadership. Ideally, teachers would receive a series of lectures and workshops that would equip them with key knowledge and skills to deliver classes that satisfy the educational needs of Gifted children in their classes. Better still would be certification. In the USA, teachers can study for diploma and degrees as a Gifted education specialists. Despite all the downs, there are some ups. One promising sign is the number of primary school teachers who undertake CPD during the summer months. ICEPE.eu (declaration: I tutor for them) provides a course in Gifted and talented education. Not all, but by far the greatest number of teachers taking this course are primary school teachers. Most of the enquiries I receive about resources and issues concerning Gifted children come from primary school teachers and principals. At second level, progress is much slower. Of course teachers are busy and everyone is doing more these days. But imagine the importance to a child of their teacher even just recognizing their ability (whatever it is). Teachers sometimes complain about the ‘pushy parent’ who thinks their child is Gifted. The ‘pushy parent’ is not the parent who only wants the best for their child; they want more of everything regardless of other children. I have met parents who want more attention for their child regardless of the other demands of a classroom. But I’ve never met a pushy parent of a Gifted child. I have met one who was overly keen to tell me their child was Gifted; but that was a short conversation! Perhaps they were just being proud. Either way, knowing your Gifted education is also the best antidote to the ‘pushy parent’, should you ever meet one. Gifted Education Awareness has come on in leaps and bounds over the last two years. Teachers have been taking the time to consider whether they have a Gifted child in their classroom. Eventually, it would be nice to see an active Teacher Association/TPN where teachers can collaborate in sharing best practice in teaching Gifted children. TEACH Ireland (www.teachireland.org) is a start but it needs more teachers to register and seek information and support. 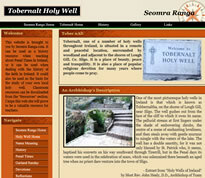 In the meantime, it would be great if you could download and distribute copies of the information leaflet below. For more information, visit www.giftedandtalented.ie or www.gtnetwork.ie or join in on #gtie Twitter chat on Sunday’s at 9.00pm. I’d like to thank Damien for the invitation to write a Guest Post for seomraranga.com to mark the 3rd Gifted Education Awareness Week. Peter Lydon is a practising second level teacher in Wesley College, Dublin. He taught Gifted and Talented Children at the Centre for Talented Youth (CTYI) in Dublin City University for 17 years from when it’s first summer programme was established in 1993. 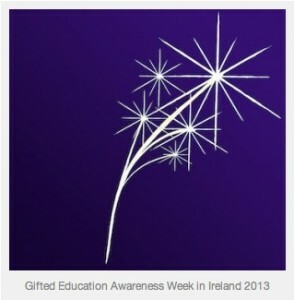 He created GTNetwork Ireland to enable parents of gifted children find local support. He also provides advice, support, and presents talks to school staff, PTAs and BOMs on meeting the needs of Exceptionally Able children. Great post! Join the #gtie chat on Twitter to learn more! 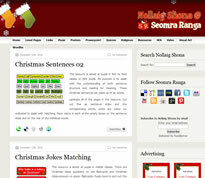 Great to read this on Seomra Ranga.Thanks.